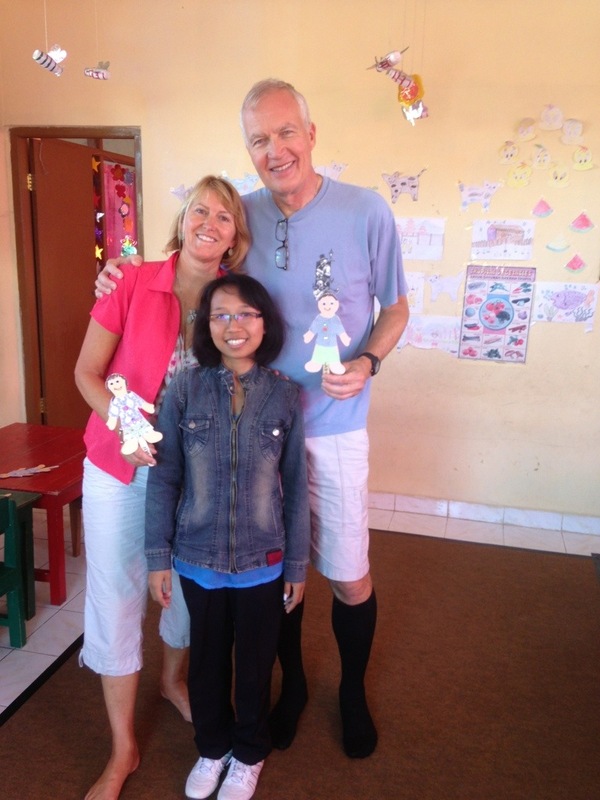 Part of my wife Kathryn’s annual trip to Bali includes a visit to the schools sponsored by the Bali Children’s Project. Kathryn has been involved with the charity for the past four years and has become the unofficial leader of the Southern California chapter. My role is to support Kathryn in small ways, usually through accounting, physical labor and my superb luggage packing skills. I love it when I can get within a pound of the maximum weight per bag. My dad would be so proud! The non-profit organization consists of individuals around the world who have travelled to Bali and have been touched by the kindness of the people and beauty of “The Island of the Gods.” As in many developing countries, many families in Bali have to face the difficult choice of educating their children or having them stay home to help support the family. This decision is exacerbated by the cost of education. BCP can support a young student in Bali for about $100 per year but this amount still beyond the means of many parents. To break this cycle, BCP identifies the children that are most in need and pays their education expenses for as long as necessary. Through the Southern California chapter, we are currently supporting about 40 students and the number grows yearly as people learn more about the work we do. 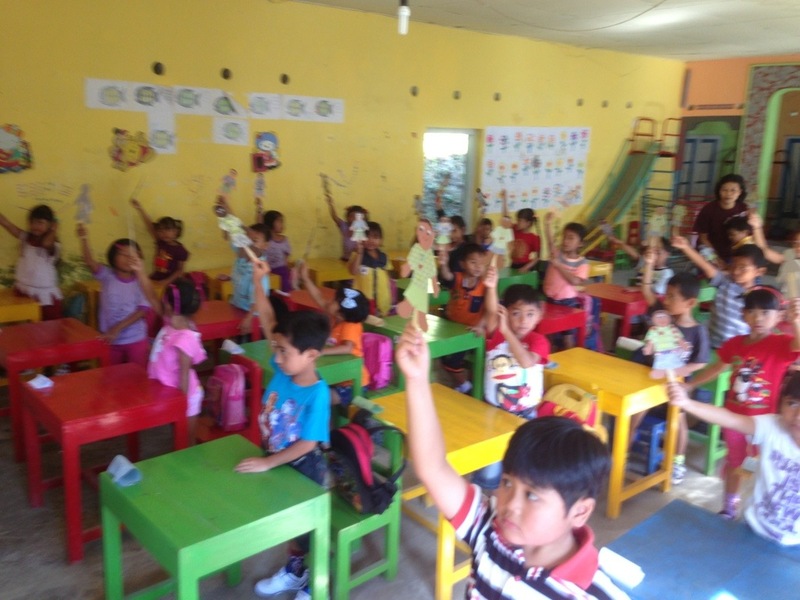 This year, we’re especially excited because one our southern California donors has funded the construction of a new kindergarten in a remote village. The students from this village had previously been held back for one or more years in first grade because it was their first classroom experience. Now they can enter first grade on the same level os students from surrounding villages. The village leaders donated the land for the school and BCP is funding the construction and two years of support. After that, the village must figure out how the continue the operation. I love the BCP because it is a true volunteer organization that provides a direct connection to the people who benefit from it. There is no paid staff and if you feel a need to serve, BCP will find a way to use your skills. BCP also has great leadership on both sides of the Pacific. The local coordinator is a 25-year old woman named Iluh, who is herself a graduate of the program. Iluh’s story is remarkable but not unique to the families of Bali. When she started 1st grade, Iluh and her sister walked an hour and half each way to reach school. Since school started at 8:00, that meant she had to walk in the dark because the sun rises around 6:00 all year round. She carried a torch to light the way through the jungle. This story beats anything I’ve ever heard about walking to school. When the suns goes down, Bali is a very dark place. A local gentleman named Nyoman noticed the two girls walking to school each day and offered to help. At first the girls were hesitant but gradually he earned their trust and started to support their education. From this act of kindness, BCP was born. Iluh was a very bright student and excelled in school. When she graduated from high school, she decided to continue her education at the university and at the same time give back to the people who had supported her for 12 years. She became the local coordinator for the program and has more energy packed into a tiny body than anyone I’ve ever met. See photo below. Iluh is now married and has a two-year-old son and is expecting another baby soon. She wonders how she will be able to juggle the demands of motherhood, her studies and leadership of the BCP. I know the challenge is significant but with her tenacity and intelligence, she will no doubt continue to achieve great things. Michael, how great to learn more of Kathryn’s work with BCP. I’ve known of her trip and a little but this truly give a great perspective. Glad you are there. This read from today’s minimalist blog made me think of you two. You truly are collecting experiences and not things. Enjoy.